Educational leadership is a collaborate process that unites the talents and forces of teachers, students and parents. The goal of educational leadership is to improve the quality of education and the education system itself. Read below to learn why educational leadership becomes more important every day. The primary purpose of educational leadership is to ensure academic success through process, material and training improvements. This is mainly accomplished through collaboration with different individuals, such as educators, parents, students, public policy makers and the public. From a business perspective, educational leadership is a form of academic management and quality control. What are the Key Qualities of Educational Leadership? Educational leadership is centered on certain key principles. First, educational leadership creates a vision of academic success for all students. This is important because there has always been a historical gap between students on different socio-economical levels and high and low achieving students. Second, educational leadership strives to maintain a safe and receptive learning environment. That is, a healthy school environment is key to providing comfortable, orderly and structured classrooms. Third, educational leadership delegates responsibility to others. This means that teachers, parents and even students are empowered to take responsibility and accept accountability. Fourth, instructional methods and curriculum content must be continually improved. Fifth, the field of education must borrow and adapt modern management tools, processes and techniques. How Do Teachers Contribute to Educational Leadership? According to the Association for Supervision and Curriculum Development (ASCD), teachers are the foundation of educational leadership. They not only manage students, but also act as leaders among their colleagues. Specifically, teachers are resource providers that help students and other teachers find online and community resources. They provide valuable classroom management and teaching strategies to other teachers. They also provide educational leaders with constructive feedback for curriculum improvements. 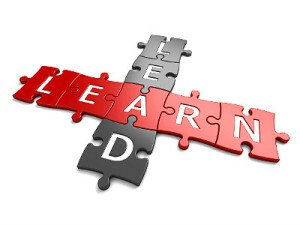 How To Become an Educational Leader? Every academic level has educational leadership career opportunities. For example, this includes private kindergarten directors, public school principals and university deans. Anyone interested in becoming an educational leader should have on-hands teaching experience and a bachelor’s degree. A master’s degree in educational leadership is available as a Master of Arts, Master of Science and Master of Education. Coursework will include classes that cover law, finance, professional development and strategic planning. Postsecondary education administrators work in an assortment of higher education facilities, such as community colleges, trade schools and public universities. According to the Bureau of Labor Statistics (BLS), the average salary is almost 90,000 thousand dollars and the job growth is at 15 percent. The standard educational requirement is a master’s degree. Their assigned duties and responsibilities depend on the department that they work in. For example, admissions administrators are tasked with determining the number of openings at the school and creating promotional ads that they place online and in other locations. They review applications, interview potential students and help accepted students through the application process. On the other hand, student affairs administrators oversee extracurricular programs and services. They also provide helpful academic counseling to students. To recap, educational leadership is the science of helping students achieve academic success through managing and improving educational programs. Educational leaders work with students of all ages and strive to help them reach their academic goals. Overall, competent and dedicated professionals are needed to provide excellent educational leadership in schools across the country.